Decorating the exterior of your property isnt something you want to do to often so getting it done propely using the right materials is something everyone hopes to do. 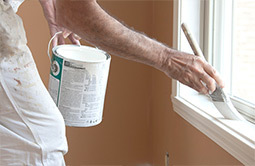 With our experiance we can undertake any exterior decorating job no matter what state it is in. Any repair work that we may find from rotten wood to cracks in stone work are all part of getting your property looking how it should and standing out from the rest. We're happy to take on any size job from decorating your front door right up to decorating a block of flats, we also specalise in redecorating park homes. We take alot of pride in our work and fully respect the fact that we are working inside your home. Leaving a room how we found it is something we would always do. We can undertake any interior decorating work from decorating your whole property to just painting one small room, no job is to big or to small. We are highly experianced decorators and know exsactly what needs to be done on any type of interior decorating from just making your property look fresh for a sale, completly renovating your propaty or sorting out a damp and mould problem. Wallpapering isnt a thing of the past and plenty of homes are still having complete rooms wallpapered or using wallpaper as a feature to add something to a room. 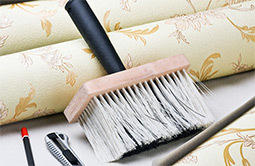 We are highly experienced at hanging wall paper to any room of your home from lining paper, anaglypta, pattern wall paper and extra wide papers. After many years of decorating the exterior of peoples properties and coming across rotten sofets and facias we decided to offer a service of fitting PVC soffits, facias and guttering. 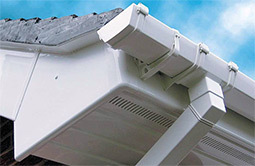 We found alot of people agreed that PVC soffits and facias was a better option than trying to make something of your old wood that has years of old paint and rott. 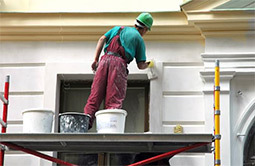 So by offering this service it saves the job of finding someone elce to do the work when we are there already decorating the exterior of your property. We offer a professional, friendly and reliable service that leaves all our customers without any doubt. Copyright © 2019 DJW Decorators. Website design by SWG Design.